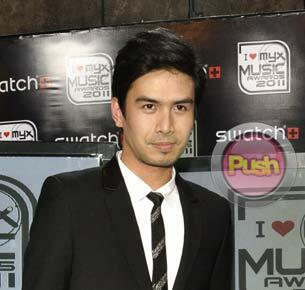 'The Kitchen Musical' star Christian Bautista is thankful to be offered projects outside the Philippines. With a lineup of projects that include an Indonesian movie, a TV series to be shot in Singapore, and another album in the works, Christian Bautista has definitely come a long way from being a runner-up in ABS-CBN’s Star in a Million over eight years ago. Despite his growing success here and abroad, the 29 year-old said there is only friendly rivalry between him and peers in the industry, which include Erik Santos who won the same singing contest that year. Christian said he and Erik are happy for each other’s achievements in the industry. “Pinag-uusapan namin yan. Lahat naman kami may sariling strength, lahat kami may sariling direction. Si Erik, lahat ng kanta niya nasa teleserye, nasa sine. So kilalang-kilala ung mga kanta niya. Yung mga kanta ko naman mas nasa radio, mas ibang bansa. Iba-iba lang ng direction namin,” he shared. Christian, who is also the endorser for Ink-All-You-Can products, said he is blessed to be given a chance to work out of the country as well. “I’m very happy with the way things are going na I’m going international na. Konti lang nakakagawa niyan. So thank You to God that He’s blessing me, thank you to my sponsors, thanks to my management. Sila Carlo Orosa works really hard. Kahit maliit kami na kompanya sa Stages eh talagang tutok sila sa amin. Hindi kami pinapabayaan,” he explained. Christian also said that it was a real revelation for him to discover that his career path may possibly lie further than Philippine shores. “Parang mas marami akong ginagawa outside. Is this my direction? Should I focus there and then come back home from time to time? Kailangan pag-isipan ko yun. Although before kasi I just focused on the Philippines, kaso puwede rin palang hindi. Puwede akong dun maging big tapos babalik-balik na lang ako. It’s something different. Not that I’m fighting with all the other artists dito sa Philippines in all the networks. Here, this opportunity, it’s so open. All of this is so open. So parang oo nga noh, puwede akong lumabas. And kung malalaos, well it just depends on how I manage it,” he admitted. Christian said that he invests his earnings by renting out business space in his hometown. “Meron kaming business lots sa Imus, Cavite called the B Complex where stalls are available for rent. We already have a dental clinic and a laundry mat renting there. Hindi sa akin yun ha, akin yung building tapos nagre-rent sila dun. Then I have up and down apartments ready for rent or sale with a small swimming pool, parking lot, and guard house,” he shared. Despite all this, the still single crooner admitted he has yet to build his dream house. “But I’m getting ready. I already bought a house. Pero yung dream house ko hindi pa gawa kasi maganda pag bubuohin mo yung dream house mo kasama mo yung asawa mo. Kasi pag ako lang yun, bachelor’s house lang yun. Puro pang-bachelor lang. ganun, yun ang ten year plan ko,” he said.